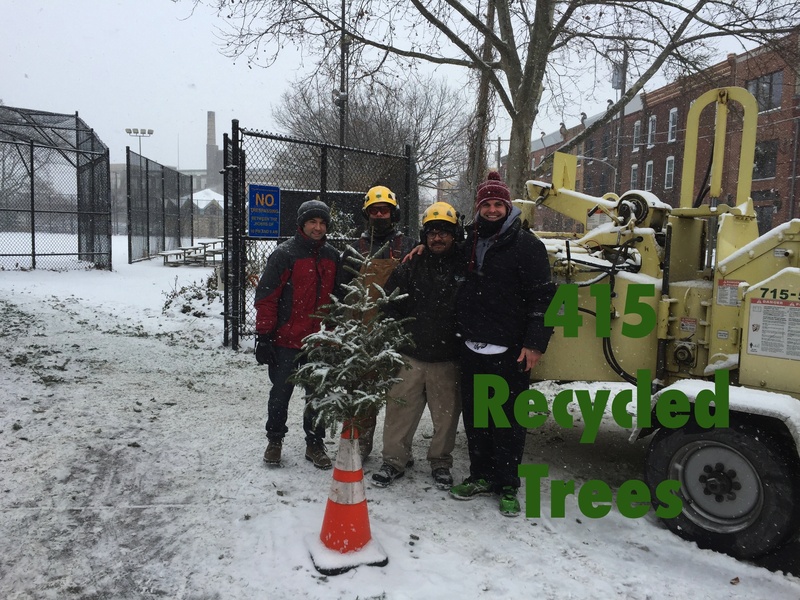 In a team effort with our neighbors LoMo joined EPX (East Passyunk Crossing Civic Association), EPBN (East Point Breeze), PSCA (Passyunk Square Civic Association) & NCA (Newbold Civic Association) to recycle 415 trees! Tree topped cars kept rolling up all day mixed with a steady stream of neighbors carrying their trees to the park. Special Thanks to Columbus Square Park for hosting and Nick Ventrola for coordinating the groups. We look forward to meeting up again, hopefully before the next tree cycle!